Jesus tells us to love our neighbour. The parable of the good Samaritan teaches us lessons about what this means for our lives, and how we can live differently to love our neighbours as Jesus does. Please note that the video Dan talks about at the end is available via a link in the notes. Jeremiah 31 describes New Covenant believers as having the law of God written in their heart. The concept of loving our neighbour is throughout the Old Testament- the law and the prophets.Throughout the bible God gives us clear responsibility for those around us. But as human beings we push back. We tend to have “slopey shoulders”. Adam blames Eve for his sin. Cain claims he’s not his brother’s keeper. God re calibrates expectation through the law (5 of the 10 commandments are directed at our attitude to neighbours). The remainder of the OT law and prophets restate emphatically that we should never take advantage of a neighbour and that we have a duty of care to them even when they owe us money! 1. He resists the spirit of the age. Jews and Samaritans were enemies who were encouraged to despise each other. This Samaritan didn’t follow the narrative. 2. He takes a risk. It was a notoriously dangerous road. To stop and help carried personal risk. Caution dictates much of our lives. We must be wary of it stopping us helping others. No doubt the Samaritan had other plans and priorities. He allowed these to be reshaped around serving his neighbour. 4. He doesn’t discount his gifts. He’s not a paramedic. He offers simple medicine and bandages and a taxi ride to hospital. Many of us feel we don’t have the expertise to help. The primary qualification is love not skills. 5. Hidden cost, not personal recognition. It cost him money and time. And he did it willingly. 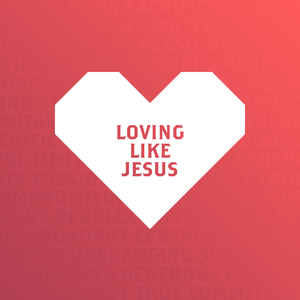 The Samaritan models the love God has for us in Jesus. We’re undeserving, enemies of God, helpless to help ourselves, but God helps us anyway. Love God and love your neighbour. Which of these two greatest commandments from Jesus do you find it easier to relate to and why? Love your neighbour as yourself. How does the phrase “as yourself” challenge us to greater acts of love? How does it help protect us from becoming driven workaholic-type followers of Jesus? “Am I my brother’s keeper”? Cain brazenly asked this question after he’d killed his brother Abel in Gen 4. How does sin contribute to our tendency to having “slopey shoulders” to our social responsibilities to others. Dan then showed a video about the creation of Bethany Christian Trust and how change can start in small things and then become big. You can find this video here if you would like to watch it.